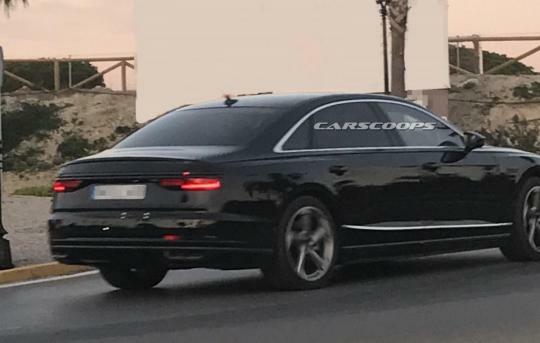 A prototype of the all new 2018 Audi A8 has been spotted with very little camouflage, giving us a good glimpse of how the MLB-evo platform luxury sedan looks like. Seen on Carscoops, the photo of the car was almost free of camouflage other than some black tape on the grill and lights. Judging from the photo, the car looks sharper and more distinctive than before. 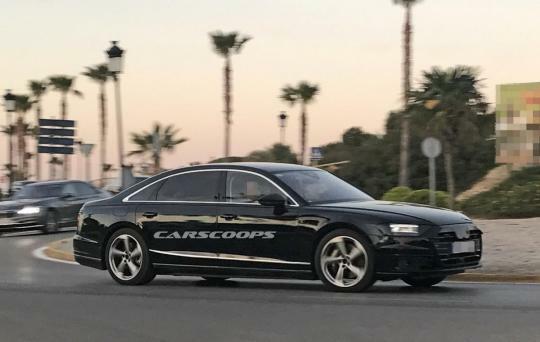 The A8's shell might have been made up of expensive materials like aluminum, magnesium and carbon fibre but according to Audi, the new body is around 50kg heavier than the current aluminum body. However, that also mean that the body is 24 percent more rigid than before. Audi explained to that the extra weight was due to the addition of even better crash structures and the need to comply with tough regulations. The Audi A8 is set to debut this July with a range of petrol and diesel power units. Hybrid variants will follow soon in the coming months. So funny. Car makers actually try to cover up their hard work.